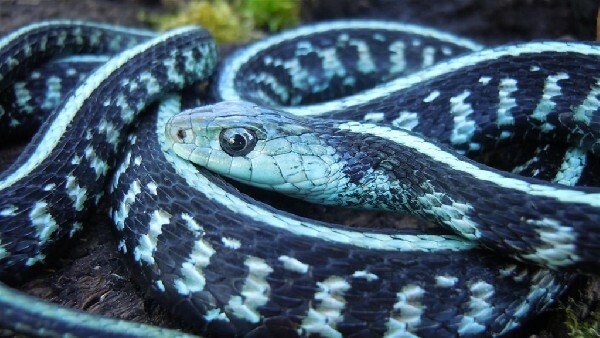 Description: Oregon Red Spotted Garter Snake. Thamnophis sirtalis concinnus. Uncommon to rare Blue phase anerythristic morph. Photo represents how this snake actually looks. True color. This is NOT a camera effect. For more information on current CB efforts PM concinnusman @ thamnophis.com forums.